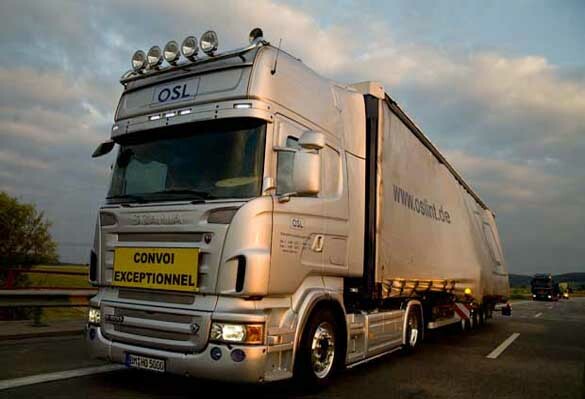 OSL is now presenting a new innovation in transporting high value goods. A SEMI LOW Loader With a Subtle Difference. We offer a maximum payload of 38 tons A swan neck trailer giving 13,60 m overall floor space. It has the added advantage of split opening rear doors for overhanging machinery. 3,60 m on the step of the trailer giving it 10,00 m of flat loading space on the main deck. We are also able to extend in width, which starts at 2,50 m and extending up to 3,50In some cases we are able to go even wider even with the width at 3,50 m the load still remains covered and out of the bad whether conditions etc Loading: The internal loading height is 3,15 m on the main deck. But in special circumstances we are able to adjust this height to accommodate an even higher load that would usually need to be dismantled so that it fits in the trailer. For overhead crane and side loading. With the added advantage of being able to raise the side roof height to ease side loading. Our trailers are equipped with heavy duty lashing rings to heavy haulage standard built into a heavy duty chassis. We also have a wide range of fastening equipment available for second to none for load security. We can load cars/aircraft/forklifts - in fact anything on wheels can be loaded from the rear using our aluminium loading ramps self driven or winched loaded. All of our tractor units are equipped with the very latest in dual band telephone and telefax, Internet, DVD-navigation and satellite location finder. This enables us at the touch of a button to tell you exactly where the location of the vehicle is at any given time. If you have any further questions please do not hesitate to contact us at our German head office. Where we would only be to happy to discuss your requirments.